What started at the beginning of last year will finally end tonight when the finals of the Bellator Heavyweight Grand Prix goes down at Bellator 214 at The Forum in Inglewood, California. 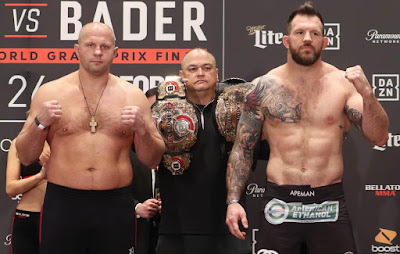 After running through the quarterfinals and semifinals in 2018, we will finally have some closure on what has turned out to be a great tournament when the legend Fedor Emelianenko fights Ryan Bader in the finals. On paper, this main event bout is one of the best heavyweight fights we've seen in MMA in a while. Neither of these men were expected to make it this far when the tournament began. In Emelianenko's case, he was brutally knocked out by Matt Mitrione in his Bellator debut, and at age 41 no one could have expected him to have the 2018 that he did. But he ended up bouncing back just like a legend would, finishing Frank Mir in a first-round upset and then beating Chael Sonnen in the second round of their bout. He was arguably the comeback fighter of the year last year, and it would be amazing to see him win the Bellator heavyweight title at age 42. 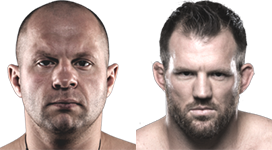 Of course, Emelianenko has a tall task ahead of him, as he fights Bader, who is one of the hottest fighters on the planet at the moment. After leaving the UFC as a free agent, Bader has won all four of his fights in Bellator -- first owning the light heavyweight division by capturing the title from ex-champion Phil Davis and then defending it against Linton Vassell, then moving up to heavyweight for this tournament. Most figured Bader would be undersized at his new weight class, but he's arguably looked even better, as he starched Muhammad Lawal in the first round in just 15 seconds and then dominated Matt Mitrione in the second round of their bout en route to winning a lopsided decision. 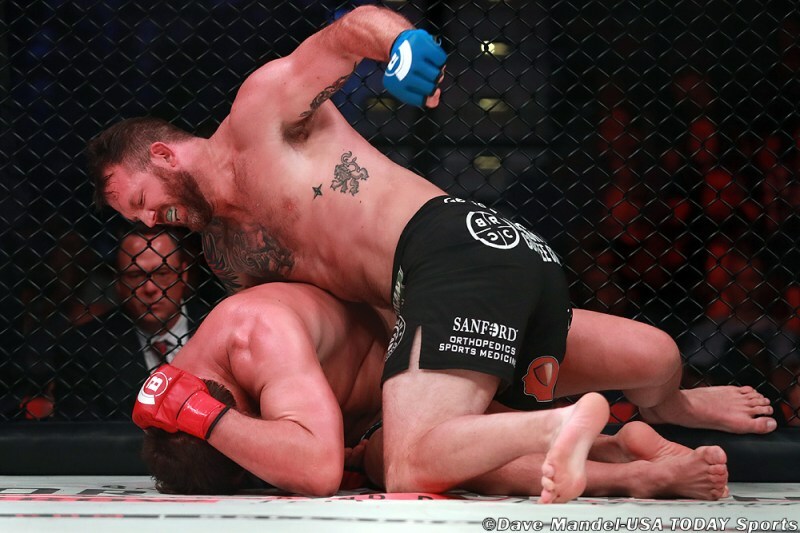 Now, Bader will look to get the biggest win of his career to date when he fights Emelianenko. As good as Bader's resume is, if you really look closely at it, he's mostly lost when he's fought the most elite fighters in the world. Beating Emelianenko would be the chance for him to right those wrongs and get that marquee win that could push him into Hall of Fame territory. Not to mention the fact that he could become a rare double champion in Bellator. If Bader wins a second belt, you'd have to consider him among the top 10 pound-for-pound fighters in the world. But don't write off Emelianenko just yet. You can't, not with the career he's had. Yeah, he's lost a step and is in the twilight of his career. But it's Fedor, and he's one of the legends of the game. Emelianenko might not have the chin he once had, but he still possesses knockout power and speed that few big men have. The oddsmakers are favoring Bader in this one, and rightly so considering his age and wrestling advantages, but you can't count the old guy out here. 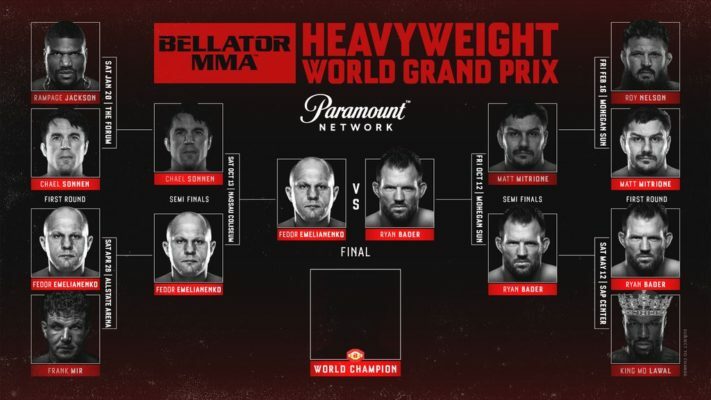 Bellator started with the tournament format under Bjorn Rebney and it went away for a while after Scott Coker took over, but with the heavyweight and now welterweight grand prixs it's nice to see Bellator going back to its roots. It would be nice for the company to finish these tournaments within the span of a calendar year, but just the fact that Bellator was able to get to this point and hold the finals this weekend is a success. 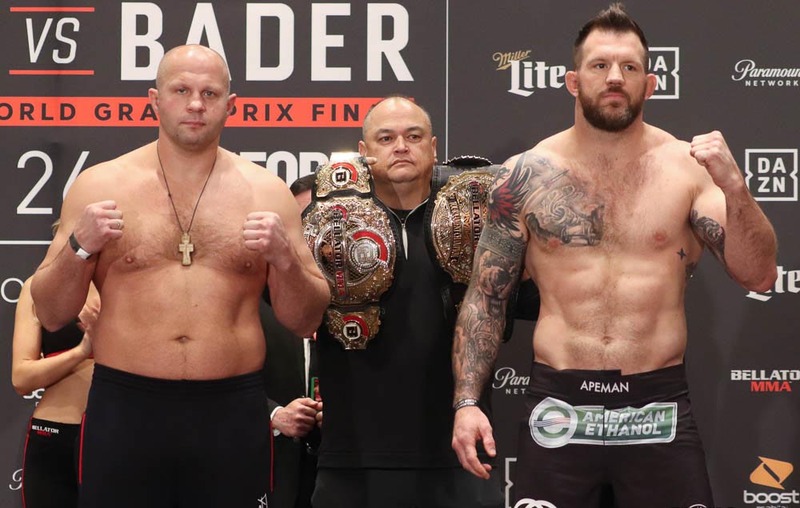 Whether it's Fedor or Bader who wins, Bellator is in a great spot, as the promotion will soon have a heavyweight champion to proudly represent the company. And the fans can't ask for a better final, which makes the tournament a rousing success overall. Bellator 214: Fedor vs. Bader takes place January 26, 2019 at The Forum in Inglewood, California.